Robert Downey Jr. 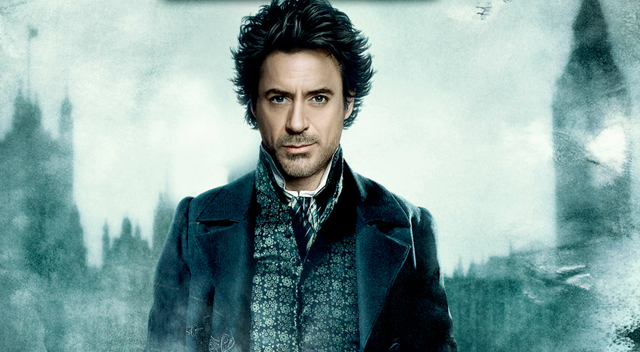 Hints Sherlock Holmes 3 Could Begin Filming "This Year"
Soon to headline next month’s Captain America: Civil War, it’s been revealed that Robert Downey Jr. has his crosshairs set on another action-packed threequel, Sherlock Holmes 3. That’s according to the actor himself, who noted to Shortlist magazine that he’s keen to jump-start production on the rumored follow-up at some stage this year. Not since 2013, soon after the arrival of the somewhat underwhelming A Game Of Shadows, have we caught wind of Sherlock 3. However, Downey appears confident that he’ll be reuniting with director Guy Ritchie before the year’s end. Of course, the actor isn’t the only one juggling a busy schedule. Ritchie, for instance, is currently knee-deep in British medieval history thanks to Knights Of The Roundtable: King Arthur, while Jude Law – who starred opposite Downey Jr. across both Sherlock movies as the astute John Watson – will feature in said period yarn as Vortigern when it releases in 2017. Robert Downey Jr. will next be seen taking point of Team Iron Man when Captain America: Civil War launches into theaters on May 6. The fact that Marvel has titled Jon Watts’ Spidey standalone movie Spider-Man: Homecoming indicates that Downey’s Tony Stark could well crop up in the 2017 actioner. Couple this with an appearance across Infinity War Part 1 and Part 2 in 2018 and 2019 and it’s clear both the actor and Guy Ritchie will have to carve out a window of time for Sherlock Holmes 3 – lest it fall into relative obscurity.